What a great year of competition for Team Bernardo Karate! 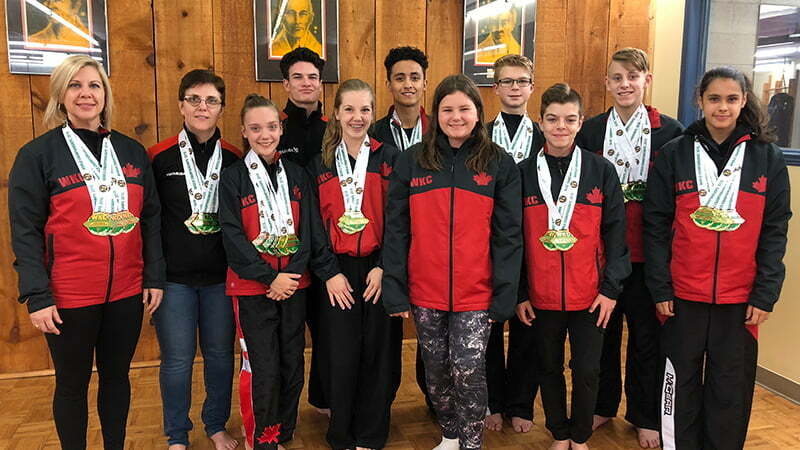 We had over 30 students qualify at the 2018 Canadian Championships to compete at this year’s WKC World Karate Championships from October 29th to November 2nd, 2018. However, for several reasons only 13 of our students were able to attend this year’s competition in Dublin, Ireland. Who says 13 is an unlucky number??? Wait until you see these spectacular stats!! Congratulations to each and every one of you! We had a small but mighty representation from Bernardo Karate this year. Super exciting results!!! Way to go Team BKA!!! We want to give a special shout out to Kara Jackson and Evelyn Gibson for competing at their very first World Karate Championships. We hope you both had a great experience and we are excited to hear about your trip to Dublin!